This podcast is all about business owners that want to be educated on how to find commercial space to operate their business in the U.S. Subway franchise owners are in trouble because Subway is with “good enough” and not great retail placement. Buyer Beware: What you need to know when buying or leasing commercial real estate. Bad deals are everywhere in commercial real estate. There are very little consumer protections to protect the uneducated in the marketplace. If you buy commercial real estate or lease the same way that you buy a house you are in trouble. Should Your Rent Increase Every Year? Welcome to the WorkSpace Real Estate Podcast, I am your host James Robertson and today we are going to talk about a topic that is very near and deal to my heart. Guaranteed Rent Escalations built into your lease. If you don’t know what I am talking about, here are the industry terms that Landlords will use to “sell” or describe the increase: • 50 cent bump per year • Annual Rent Escalation • Rental Adjustments • Annual Rent Increase You will know what I am talking about if you look at your lease and you see the 2% to 10% increase in rent that you will have to pay next year. Now let me tell you why this provision really irks me as a Tenant broker... If you were to ask the Landlord why the provision is there, here are the excuses. • This will cover the cost of inflation • This rent will keep up with the market rent and keep you current • The banks require us to show an increase • Or if they are really bold, they will just tell you that this is part of the income goals for the property which is Industry speak for (This is how much profit we want to make so shut up about it) Here is the main problems with guaranteed rate increase. It will guarantee that you will OVERPAY in rent in nearly all but the strongest markets in Office and Industrial Space. Let me explain using Houston data. In Southwest Houston, if you were to lease office space at $14 per foot in 2012, do a 5 year lease with .50 cent escalations then it would look something like this. Year 1 at $14, Year 2 @ $14.50, Year 3 @ $15, etc. Now where was the actual rental market at for those 5 years. In Southwest Houston, this market was almost flat, after 5 years the listed rent for the same building stayed about $14 to $15 per foot even at year 5 while if you got these guaranteed increases you would have been $16 bucks a foot! Paying a full $1 more per foot for the same space. Here is the point, in order to make a great deal you have to reject the assumption that the landlord is entitled to guaranteed increases every year regardless of the market. The only way I recommend that business owners accept these increases is when the market shows through actual rent data taken that they can support those rates. Now I am not talking about asking your neighbor next door or checking online because your neighbor’s rent does not represent the “market rent” in that area and the online rates represent the market as much as the sticker price on a car represents the actual sales price on a new Infinity. Let me close with a quick stock market story (true story). For all of you savy investors out there, if you invested in the SP500 over the past 20 years you should have averaged an 8-9 percent return annually. If we took you out of the market just 10 of the best days of that 20 year period your earnings would have been cut to less than 4.5 percent. If we took you out of the market just 50 of the best days you would have a negative return on your investment! As a business owner, your not opposed to risk, risk is part of your life. Now the landlord’s building is an investment, and yes they are entitled to a fair deal, but that deal needs to be a win-win for all parties involved. We cannot expect the Landlord to lease space at a loss anymore than the Landlord should expect to recieve higher than market returns just “because”. The next time you are up for a renewal or relocation, dig into the weeds and understand where the market is headed. Determine what a reasonable rent forecast looks like and talk it over with your broker so that you can develop a winning proposal so that everyone is happy. Remember I said this in another episode that great real estate deals are MADE not found! If you like what you heard, please subscribe. This is James Robertson signing off, thank you for listening! Should I Lease or Should I Purchase Commercial Property? 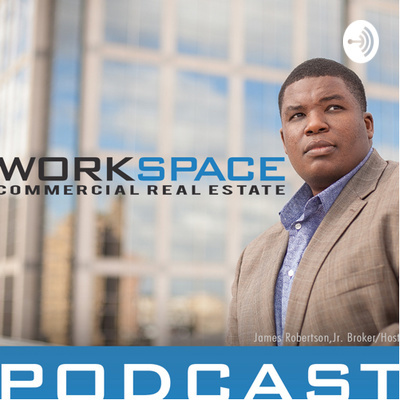 Welcome to the Workspace Real Estate Podcast, I am your host James Robertson and today we are going to talk about when to lease vs when to purchase a property. As a business gets closer to maturity, starts building up cash reserves, there is always a temptation to set out and “get a property” to run the business. In another podcast, I talk about the advantageous of owning yoru own Commercial Property so definitely check that out, but today I want you to think about this one question: What are my expectations for the property? 5 Years, 10 Years? When you sell the business, will you also sell the real estate? Do you have any other Commercial investments? What is your experience level with running or managing properties? Who is going to manage the property? Have you run the numbers on what it will cost to acquire, develop, maintain the property and How does that compare with a lease? How susceptible is your business to changes in size or location? 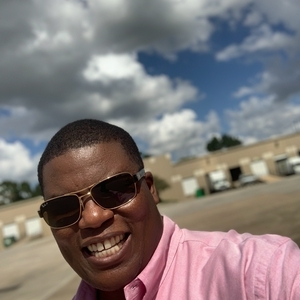 Let me be clear, businesses are successful and love to lease and purchase property depending on the situation they are in. Typically people that should lease: • Need to be in a certain location or market where purchasing the land or property would be cost prohibitive (or they cant afford it) • They don’t have the experience or desire to run a property • They are still in growth mode where there cash reserves need to be reinvested in the business This is a big one because people tend to overlook the fact that purchasing a commercial property will cost you at least 25% to 35% down unless you get an SBA loan which is still 10%. That is a ton of cash that could and should be invested to help your business grow. This is a good Segway to which types of businesses should purchase property: • If your business is “grown up” strong cash flow, strong processes, established market share • Ability to purchase without compromising the optimal location yoru business needs to operate Too often I see business owners cut corners here, and try to locate outside of their optimal location in order to save money on a deal. This can really hurt you when it is time to sell your property and all of your competitors are in a better location. • You have the desire, experience, resources to properly manage and lease up the property • You have a clear picture of what you expect the property to produce for you If it is an investment, you know what sort of return you want, if you are going to build as you grow you have plans and purchased the right amount and configuration of land to grow with you. To wrap things up, I think that most people at some point in their business have a desire to own their own commercial property. Just make sure that once your ready to pull the trigger you know exactly the scenario you expect, then talk to some local experts in the market to help you put those pieces together to achieve your goals. Thanks for listening! I hope this information was helpful to you, if you like this podcast please subscribe! This is James RObertson signing off, I hope that you get the Best Location, For the Best Price, with the Best Terms possible on your next deal! Great deals are made, they are never found. This Episode goes into detail on how to make great deals happen with your office or industrial lease by telling a true story. This episode goes into detail on the philosophy in the process necessary to give proper time and attention to negotiate your office or industrial lease. Most businesses neglect this at their peril, listen, learn and enjoy! Thanks for listening to Workspace Real Estate, I am your host James Robertson and today we are going to talk about a topic that will soo help you if your a tenant that is looking to give back space to the landlord. It’s a given that the most effective way to give back space to the landlord is via a sublease, or the tenant leasing the space to another tenant, collecting rent, and then paying the landlord. There are multiple ways to execute a sublease, which is something that I will have to cover in another podcast, but the focus of today’s podcast is why you should NEVER, Ever, Never Ever Ever trust the current landlord to sublease your current space. Let me give you the reasons upfront and then I will explain. First of all, there is a conflict of interest, the landlord is already getting rent from you and will always try to lease out other spaces that are not producing income before yours. You will be last on the list every time. Secondly, if they control the ability to market the sublease, and we have already demonstrated why they are not motivated to lease it, then your listing will not be properly advertised , if at all. Many times a landlord will just “bring” up that they have a space that “may” be available for sublease to a prospective tenant INSTEAD of using all of the proper advertising channels available to us brokers to expose the space to the broadest audience possible. I could go on, but if those two points have not convinced you, I don’t think you will listen to the other points because those are the strongest ones. Instead of elaborating on the points, let me tell you a true story of why you should never trust the landlord to do this. Not even one month ago, a drywall company hired us to find space for them in the Houston market. They wanted a short term lease so we included a sublease in the options. The landlord broker was slow to give us details for the property, did not show up on the tour, was even slower in providing the proper documents for us to review in order to get a deal done, and the worst part is that he forced the current tenant to pay for the concessions we negotiated. Now this was not a problem for our client, we got a great deal... The problem is that if this poor tenant who had the sublease actually hired a broker that had a fiduciary responsibility to look out for HIS best interest, he would have gotten the deal done a lot faster, and saved his client thousands of dollars, while getting him out of his lease. Now don’t get me wrong, I have no desire to paint the landlord broker with a negative brush, we are all big boys and girls and in commercial real estate it is assumed that these business owners are responsible for their decisions, good and bad. I don’t know why, but for some reason, some tenants hold their landlords and their respective brokers in such high esteem that they allow themselves to be unfairly exposed to expenses and liabilities that are unfair. I hope this information will help you avoid making the same mistakes and helps you get the best deal, at the best location, at the best price possible. This is James Robertson signing off, thanks for listening! The Renewal Lease is on your desk ready to sign, on top of the lease is a stickie note from your admin or CFO in bright red ink that says they are charging too much for this space! Would you sign the lease? This episode is all about teaching you through other peoples experience. Negotiating a commercial lease can be a painful experience if you do it wrong, here is a story of how her doctor lost $100,000 because he didn’t know what to do. Do I need to Sign a Personal Guarantee for my lease? Don’t do it unless you have to. I’m thankful that I don’t have to be politically correct and I can speak my mind as a business owner and a commercial broker in the market right now. These provisions have put more people out of business and I care to count and must be understood carefully before moving forward. Join us as we discuss the personal guarantee clause in commercial leases. The Absolute Best Way to Tour a Commerical Property. In this episode we discuss the process that you should take when setting up a tour for you and your company to view space. This process has been extremely effective for us and we believe it will work for you as well to save you lots of time and frustration. Who is responsible for damage in a commercial lease? In today’s episode, we will talk about what cases the landlord is responsible for damage versus what cases the tenant is responsible for damage including HVAC. How Long of a Lease Should I Sign? Our philosophy is that you should only sign a lease for a term that allows you the maximum value in the way of concessions and rental rate. I can’t tell you how many attorneys I have spoken to that recommend to their clients to sign a one-year lease. I think this philosophy is not only foolish but detrimental to creating a contract that allows the business to grow and thrive. Do I Have To Pay For My Broker on a Lease? My Landlord told me this so it must be true right? In this episode we cover one of the more unethical statements that A small percentage of landlord will use in order to keep business owners from retaining help. The Best Way to get the Best Deal on your next Lease. In this podcast we go into great detail and covering all of the data points that you would need in order to make sure that you’re getting the best deal possible on your next lease. We also show you how to use that data and work with your broker to produce the best results. Will Using a Broker to negotiate my Commercial Lease raise my rent? How do I look for commercial space? A comprehensive guide from an expert Broker. Looking for a space for your business can be a time and resources consuming task. Here is the best way to search for the best space at the best price for your business. Get your notepad ready and lets do this! How do I determine how much commercial space I need to operate my business? This inaugural episode details how professionals estimate how many square feet they need to operate any commercial space. Whether it’s office, industrial, or retail space, you will find Tipps here that would help you to get just enough space but not too much!